By: Stansfield Smith, Guest Scholar for the Council On Hemispheric Affairs. Latin America’s Turbulent Transition is a well-written and highly informative book for comprehending the “new” Latin America, though it still remains less than complete in a number of important aspects – in part perhaps reflecting the nebulous nature of 21st-Century Socialism itself. Written more for academic than activist audiences, Turbulent Transitions is a valuable resource, referring to many of the worthwhile books written on the rapidly changing Latin American political landscape. Nevertheless, it neglects important work with a class or Marxist perspective. This may help explain its hesitation to frankly discuss the conflicting class interests and alliances in some of the leading ALBA (Bolivarian Alternative for the Peoples of Our Americas) countries and governments, – Cuba, Venezuela, Bolivia, Ecuador – a necessary task for clarifying 21th Century socialism. The ALBA countries’ turbulent transitions have “shift[ed] the balance of power away from US hegemony and in favor of the popular movements” (43). They have rejected the neoliberal model in favor of building democratic and socially just societies. The peoples of Latin America are now better organized and more appropriately equipped than at any time in their brutalized history to assert their independence from US manipulation. 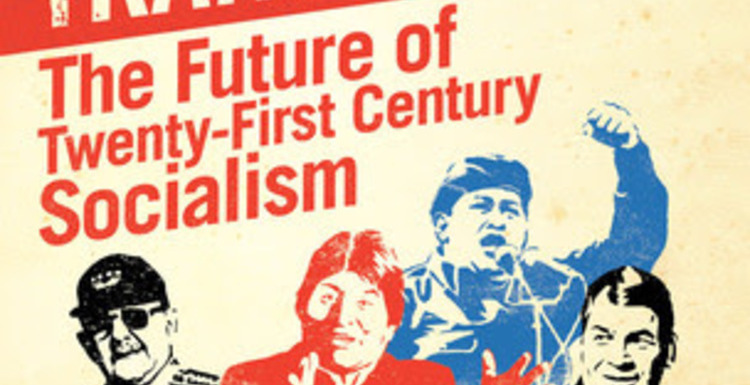 The first chapters of the book review the history of Latin America’s struggle against neo-liberalism, leading to the rise of ALBA, which was initiated by Fidel Castro and Hugo Chavez in 2004. These countries are dealt with as the exemplars of 21st Century Socialism. Somewhat slighted is Cuba’s role in leading the Third World struggle against neoliberalism in the 1980s and 1990s. At least since the time of Castro’s 1979 UN speech as president of the Non-Aligned Movement , he has continued to make a number of important public addresses , on this and related subjects. Castro also wrote The World Economic and Social Crisis (1983). Over the years, Cuba has staged several conferences at the behest of Latin American political movements and for trade union leaders in order for them to coordinate Third World opposition to neoliberalism, all unmentioned in the chapters on the anti-neoliberalism struggle. The authors refer to “state socialism” without clarifying what they mean by it. In socialism the control of key engines of national production, such as imports and exports, financial institutions, networks of distribution, and land usage is taken from the private capitalist owners and placed in the hands of the working class and peasants, who then come to control the state, more or less in their own direct interest. The economy is operated according to a national plan of production centered on meeting the population’s needs, not that of private profit. This requires removing the capitalist class from both economic and political power, replaced by working people who collectively own the productive system, with a new state that is administered by their representatives. How “20th Century” or “state socialism” differs from this is not made entirely clear. Nor are the key differences between 21st Century and 20th Century socialism spelled out. Cuba, for instance, is a form of 20th century socialism, yet bears an integral relationship to 21st century socialism; it has “state socialism” combined with a developed form of participatory democracy. The authors do point out that Venezuela, Bolivia and Ecuador have not eliminated the rule of capital (40), and question whether they have actually moved beyond a post-neoliberal society. Even post-neoliberal societies are still seen as having made impressive strides forward for Latin American human development. In such cases “the state has been used to regulate multinational and national corporate interests, to secure the best possible terms for new investments, and to expand the role of state enterprises.” The state has also channeled “some of the new revenues” to finance social programs. (42) The ALBA governments, growing out of mass movements, have raised their population’s standard of living, educational level as well as encouraged people’s self-organization; such organizations have become a powerful social force in society. Yet this remains a far cry from socialism. The book uses the term “social movements” without definition, though we are given to assume that social movements are “good.” In reality, social movements can be progressive or reactionary, with both being sharply on display in The Revolution Will Not Be Televised. The authors fail to explain that any social movement represents one or more class concerns and advocates their class interests. The authors refer to “neo-extractivism” without explanation, but it is meant to be “bad.” With the Western powers blocking their industrial development, the most feasible path to improve the living conditions of the exploited sectors of Venezuela, Bolivia or Ecuador, for example, has been the export of natural products, whether they be oil, gas, or agricultural goods. To condemn them for relying on “extractivism,” neo or not, could be seen as relegating them to perpetual neo-colonial impoverishment. Venezuela and Hugo Chavez rightfully belong in the vanguard of the mobilization against neo-liberalism. The chapter on Venezuela is a thorough and concise summary of Chavez’ towering role in changing the face of Latin America, leading it from a region of subservience to US interests to being among the most vocal opponents of US world interventionism. Relying on oil wealth, Chavez instituted a variety of social and economic programs that markedly raised the standard of living, health and educational level, as well as the human rights situation of Venezuelans. One of the most admired accomplishments of the Bolivarian process is its fostering of participatory democracy through the organized expressions of popular power, involving the people in governing the country. Other key achievements, so far only partially successful, were to build an alternative economy of cooperatives and of community councils, “a fundamental building block of the new state.” (73). Chavez stated that proponents of 21st century socialism did not want to repeat the errors of 20th century socialism, and “fundamental to this was ensuring direct worker participation in the management of the economy and community participation in distribution.” (69) His vision of socialism was based on social production and distribution meeting social needs, not profit, as well as the social ownership over the means of production so that social wealth remains in the hands of society. (49-50). Venezuela still has a very long way to go to implement these aims. How can they be institutionalized without a socialist state (“state socialism”)? Bolivarian Venezuela’s desire for 21st century socialism still must face the same challenges of building a new state, just as the Soviet Union, China, Cuba, and Vietnam in their turn faced, and confront the problems of bureaucracy, corruption and top down control. In Bolivia before Evo Morales, international corporations appropriated 82% of gas royalties, while now the government retains 80-90%. As in Venezuela, this wealth is used to stimulate national production, and over a half million jobs have been created, this has reduced unemployment to 5.7% by 2010. The authors do take note of the attempted US backed efforts to overthrow Chavez in 2002-2003 and Morales in 2009, which included USAID funding of opposition groups and indigenous organizations. Yet they do not refer to Washington’s similar attempts in Cuba (2003) and Ecuador (2010). Marc Becker, an American academic hostile to Correa, writes the chapter on Ecuador. He masks US interference in Ecuador and explains away the failed 2010 coup against Correa as a “police protest,” avoiding mention of the US role. His chapter says not one word of the continuous U.S. hostility towards Correa. Becker sharply criticizes Correa for pursuing “extractivism,” to build the economy. “Correa appeared determined to destroy any independent social movement organizing that could potentially raise opposition to his government.” (109) Left unsaid in this claim is the role USAID funded NGOs played in fomenting opposition to Correa. Becker alleges a “seemingly insurmountable gap between Correa and social movements” (110) and has claimed Alberto Acosta speaks for the social movements. Yet in the last presidential election Acosta received 3.7% of the vote to Correa’s 57%. Any unprejudiced person can easily determine where the “insurmountable gap” lies. Becker grudgingly admits Correa has significantly reduced the number living in poverty and has renounced $3 billion in foreign debt as illegitimate, saying that this was a preferable strategy to cutting social investment. Becker also acknowledges that Correa raised taxes on the wealthy, taxed oil profits, tripled spending on education and health care, provided subsidies to the poor, and shut the US military base. Ecuador was the only OAS country to reject readmitting the Honduras coup government, the sole country to boycott the Summit of the Americas in Colombia in 2012, over Cuba’s exclusion, and the only country to give asylum to Julian Assange. These are the reasons for Correa’s popularity in his country as well as the hemisphere – the working poor have seen their standard of living increase, the economy is doing well, and Ecuador has more respect in the world. Yet Becker tries to explain Correa’s popularity as his having learned from Chavez “how to use electoral contests to consolidate his grasp on power” (101). This sounds a little too similar to US officials’ explanations of how Chavez was a dictator in spite of repeatedly winning free and fair elections. Cuba, a key ALBA country, gets the shortest chapter – 9 pages, compared to 26 for a valuable chapter on Brazil, though not an ALBA country, nor one that advocates 21st Century socialism. “’The Cuban process today is an attempt to advance the socialism that triumphed in the twentieth century while in Latin America at large the left is in a protracted struggle with the oligarchy to construct a new socialism of the twenty-first century.’” (145, quoting Aurelio Alonso, interview, April 2012). The chapter doesn’t bring out the daily suffering imposed by the US embargo, making Cuban economic life focused on surviving an internationalized blockade rather than advancing its institutions. The economic changes now being witnessed are more attempts to survive under the vindictive blockade’s effects than to combat bureaucracy. Cuba, possessing relatively scant natural resources for “extractivism,” used tourism revenue to fund the people’s social safety net. The authors call this “apartheid tourism,” showing both little understanding of apartheid, and of Cuba’s reasons for foreign tourism. In 2005 Raul Castro called for a national consulta, a series of nationwide grassroots meetings, to discuss economic changes to deal with the country’s problems. By 2007, over 5 million people took part in these workplace, school and neighborhood meetings. In 2010-12, with the Communist Party Congress, 8 million took part in a massive display of participatory democracy. The people called for decentralizing the administration and the economy, more local input to state economic plans, more self-employment, more rural and urban cooperatives, and distributing unused land rent-free to individuals for farming. The book does not refer to the 1980s Cuban Rectification Campaign, aimed at correcting significant problems of their Soviet style Economic Planning and Management System. Castro’s 1986 speech to the Communist Party Congress and his July 26, 1988 speech criticizing this system can be regarded as one of the most thorough critiques of 20th Century socialism. While the book criticizes environmentally destructive “neo-extractivism” it does not discuss Cuba’s community gardens and organic farming revolution, nor that the World Wildlife Fund recognizes Cuba as the one and only country in the world with an environmentally sustainable economic system. If the essence of 21st Century socialism is socialism and participatory democracy, in cooperation with Mother Earth, then Cuba deserves a more prominent place in Turbulent Transitions. Together, the four ALBA countries show a new world is possible. Venezuela, Bolivia and Ecuador have taken control of natural resource wealth, strengthened the organization of working class and communal forces, and use national wealth for modernization and social programs. These are worthy achievements, but they do not constitute socialism, and we should admit they have been accomplished under a form of capitalism. A new more humane world, prioritizing the needs of the poorer classes, in tune with Mother Earth, fostering cooperation and unity against imperial hegemony, is required for our survival, and this new world is being built in Latin America under the name of 21st Century Socialism. 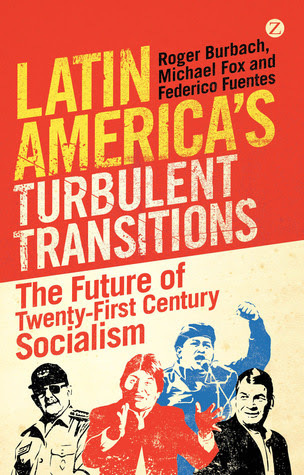 Despite the caveats mentioned here, Turbulent Transitions presents an informative and thought-provoking overview of progressive developments in Latin America that deserve very close attention. Stansfield Smith, a long-time anti-war and solidarity activist, is a member of the Chicago Committee to Free the Cuban 5. He has written articles and book reviews for Counterpunch and Monthly Review. He has been to Cuba, Ecuador and Bolivia this year, and Venezuela previously. He holds an MA Degree in Social Science from the University of Chicago. 4. See Eva Golinger’s October 2010 entries in www.chavezcode.com.